OTONEWS - Previous Ford claims that the artificial super car, the Ford GT will have a power of more than 600 horsepower (hp). Super car which was perched at the Detroit Auto Show 2015 in January, it is now claimed to have power no less than 700 hp. Ford revealed some new information about GT 2017. It is said, the super car will carry EcoBoost V6 twin turbo engine capacity of 3500 cc. From machines that, at least power of 700 hp will be ejected. The machine will share the bore and stroke dimensions with existing applications including Ford cars and trucks as well as Roush Yates made for IMSA endurance race Daytona Prototype. This means that the machine will have dimensions of 92.6 mm x 86.7 mm / 3.64 inches x 3.41 inches. Meanwhile, engineers are now testing the Ford Performance carbon fiber and forged aluminum rims to be used in GT. In addition, the Ford GT will get opposed piston Brembo brake calipers and carbon ceramic brake rotors. Ford GT 2017 will be far more sophisticated than its predecessor. This super car will offer a range of functions that did not exist before. Latest functions offered on the Ford GT 2017 are four different driving modes namely Normal, Sport, Track and Wet. Will be present also features active aerodynamics, variable damping as well as the program advanced traction and stability control. To support all the technology, the GT will be packed with more than 50 vehicle sensors, the microprocessor 28 capable of analyzing 300 megabytes of data per second and 6 CAN which carries 3,000 different digital message to the GT. The platform is formed with carbon fiber as well as exterior body panels super car will be produced by Multimatic Motorsports and Engineering. The company also supplies lightweight materials for 77 models of super cars Aston Martin One-77. First production 2017 Ford GT will be delivered at the end of 2016. The price is estimated at US $ 400,000. Detroit-based manufacturer also plans to produce 250 units per year. 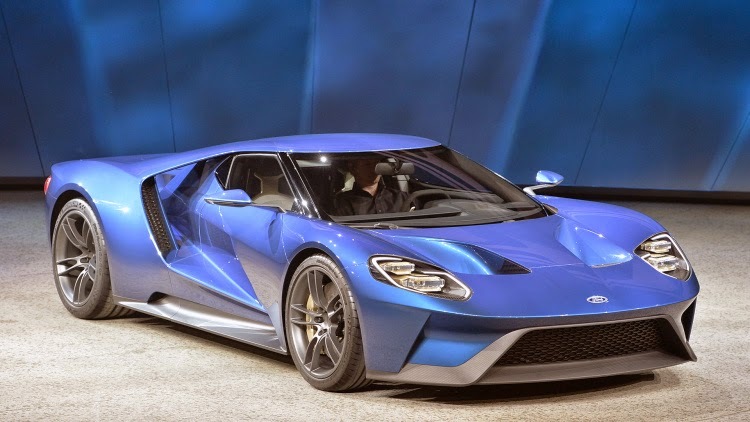 However, in total the Ford GT will not produce more than 1,000 units. No Comment "Super Car Ford GT Power will Amounting to 700 hp"